A crucial pipeline in the North Sea has been shut down due to a crack, causing Brent crude prices to spike on Monday afternoon. In fact, Ineos, the operator of the key Forties Pipeline System, said that the 450,000-bpd pipeline could be shut down for “weeks” as the company pursues repairs. A hairline crack was discovered last week, which forced Ineos to reduce pressure in the pipeline. But the company announced Monday that it would carry out a controlled shut down after it appeared the crack had widened. A shutdown for that length of time and of that magnitude of capacity would be a problem for any pipeline system, but a closure of this particular pipeline has global implications. The Forties system is the main carrier of the oil that underpins the Brent crude oil benchmark, a fact reflected in the nearly 2 percent spike in Brent prices on Monday, rising above $64.50 per barrel and breaking a new two-year high. As of Monday, some reports of announced shut downs started to trickle in. The outage has echoes of the spill at the Keystone pipeline from just a few weeks ago, a crucial artery that carries nearly 600,000 bpd from Canada to the U.S. The shutdown of the pipeline caused WTI prices to surge and pushed WTI futures into a state of backwardation, in which near-term prices trade at a premium to longer-dated futures. It was the first time in three years that the WTI futures curve was downward sloping, which is a sign of tightness in the market. But the ramifications for the outage at the Forties could be even more significant, given the much greater influence of the Brent benchmark on global prices. Assuming the 450,000-bpd pipeline remains shut for three weeks, a rough calculation would mean that up to 10 million barrels could be disrupted. That is important because OECD crude inventories stood only 140 million barrels above the five-year average, according to the latest data from the IEA for September. The UK will need to purchase crude from elsewhere to make up for the shortfall. That could tighten the oil market in the Atlantic Basin, an area that already was feeling more pressure as the global market continued towards rebalancing. The market for Brent will be pretty jittery for the next few weeks, and an unexpected outage from Nigeria, for example, could really send things through the roof. The outage will also widen the Brent-WTI disparity again, which had narrowed a bit after several weeks of hovering at multi-year highs. 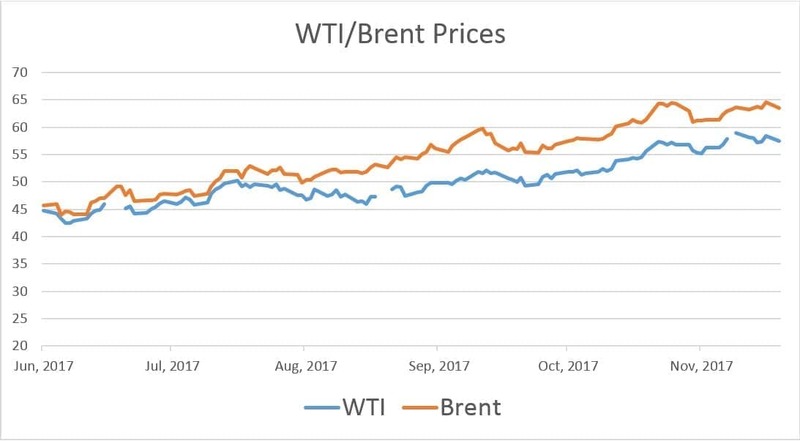 As of midday trading on Monday, Brent jumped to a nearly $7-per-barrel premium over WTI, a differential that is up nearly $1/barrel from last week. Related: Will Libya Be First To Ditch The OPEC Production Deal? A wider price disparity, in turn, will lead to even sharper demand for U.S. crude, which becomes more attractive to buyers as Brent gets more expensive. As a knock-on effect from the outage of the Forties system, the U.S. could see higher oil exports in the next few weeks, which will help drain inventories at a faster clip. In short, the crack in the Forties pipeline will have ripple effects throughout the oil market, and it will be felt across the globe until it is repaired. "Weeks"??? To repair a piece of broken tube. Including the tests etc for what possible reason can't this be done in 5 working days or so? Sounds like Brent price manipulation to me. So welcome fakenews to oilprice. China will be trading oil for gold. So false media already in place to come up with interesting stories as to why oil prices are going up. ????? ?